Micahel Sam and Vito Cammisano in Rome, where they apparently decided to get hitched. 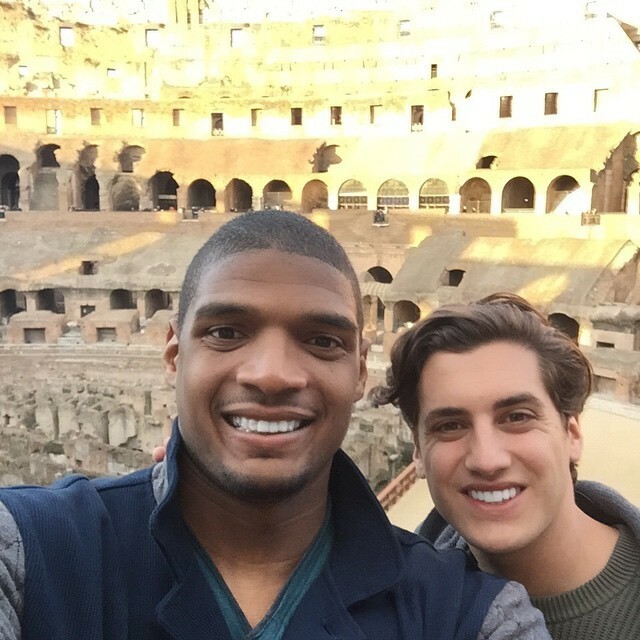 Michael Sam, the NFL's first openly gay player, and his longtime boyfriend Vito Cammisano are tying the knot. Sam, who was drafted to the St. Louis Rams after a standout career with the University of Missouri, and Cammisano haven't officially announced their engagement, but some Instagram sleuthing from TMZ says the couple decided to make it official in Rome during a European vacation. Sam was cut by the Rams in August and from Dallas' practice squad in October. He's now a free agent and says he's determined to play for an NFL team. Sam said he wants to get married -- hopefully to Cammisano, whom he met in college -- in an Oprah Winfrey Network documentary that aired last month. 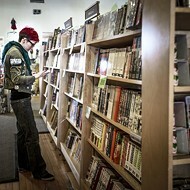 "I think if someone wants to spend the rest of their lives with another person, by all means, do that," he says. "It's all about equality." Sam and Cammisano shared a joyful kiss after getting the news that the Rams drafted Sam into the NFL, making him the first out gay player in the league.